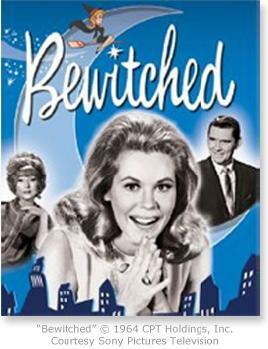 began planning her career early in her childhood as she watched the 1960s sitcom, Bewitched. Her favorite episodes were those when Darrin Stevens, Samantha’s husband, created and pitched ad campaigns to clients. Laurie was inspired by the notion that she could have a career like Darrin’s, using her creativity and combining words and pictures to communicate. Ad Agencies to corporate Marketing Communications and PR roles. She eagerly incorporated web and Internet communications into her campaigns and she continually seeks new ways to help clients communicate and develop and nurture relationships with their prospects, customers, investors and employees. For more than 30 years, Laurie (formerly Laurie Sillay Lahr) has led Public Relations, Advertising and Marketing Communications programs around the world for organizations, companies and products including television and computer systems, satellite telecommunications, hardware, software and services, as well as consumer products including apparel, banking, fast food, real estate, hospitals, medical devices and services. clear, credible and consistent content that is interesting and relevant to their intended audience. She is respected for her professionalism and known for the development and direction of strategic communication programs that always combine engaging visual presentations with compelling copy. She leverages the Internet and the latest technologies to reach and attract target audiences with cost-effective programs that consistently deliver compelling messages and measurable results. Project & Business Development, OnDemand WebSolutions, Inc.